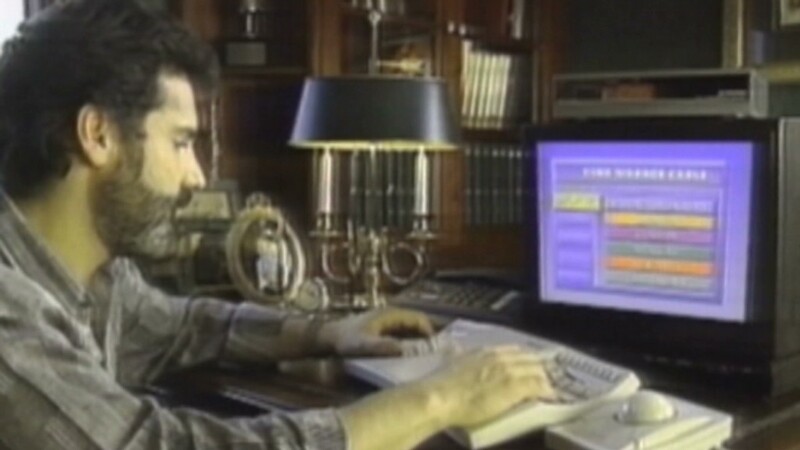 The Internet is celebrating a big birthday next week: The world's oldest dot-com domain, symbolics.com, is turning 30 on Sunday. The first dot-com was purchased by a Massachusetts-based computer company Symbolics on March 15, 1985 -- four years before the World Wide Web even existed. (Email and the Internet pre-date the Web). Symbolics was one of the original makers of computer workstations, and the company even got a mention in the movie "Jurassic Park." But the "Lisp" computer language that Symbolics developed eventually faded in popularity. Symbolics went belly-up and filed for bankruptcy in 1993. The company and its symbolics.com website continue to exist today. Symbolics maintains the Lisp operating system that is still used by some companies and government agencies, albeit in a very limited way. But in 2009, Symbolics got an unsolicited call from an entrepreneur named Aron Meystedt. He had built up a small domain name registry business called XF.com Investments, and he thought he'd take a shot in the dark by asking if symbolics.com might be up for sale. Meystedt said his call was perfectly timed: The company was looking to raise money to continue its operations. 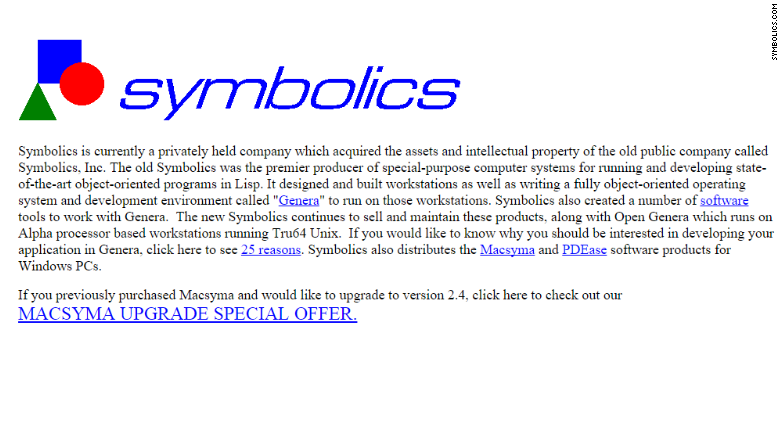 Symbolics transferred the domain name to Meystedt (he can't share terms of the deal, since they were subject to a nondisclosure agreement), and the company moved its site (still the same since 2005) to symbolics-dks.com. So what to do with symbolics.com? Meystedt said it had been -- and continues to be -- a frequent topic among friends, family and colleagues. He quickly noticed that the site had been getting traffic without any advertising. Hundreds and sometimes thousands of people visit each day, and hundreds of thousands of clicks come into symbolics.com each year from curious Web browsers who happened to come across the fact that symbolics.com was the first dot-com. Meystedt thought there could be a revenue opportunity there. So he turned it into a kind of Internet history archive. 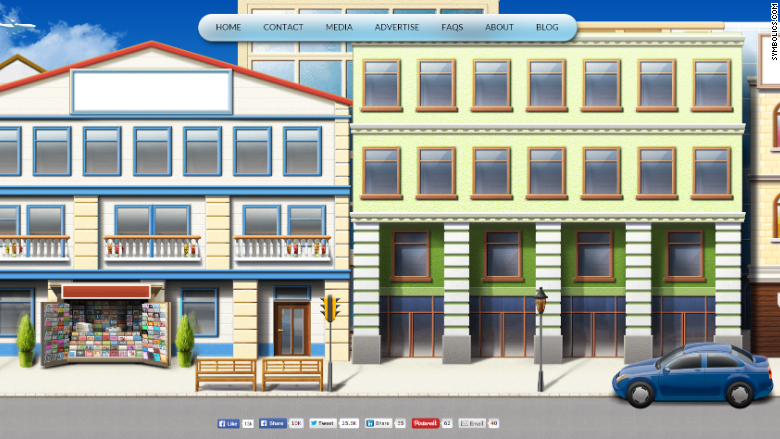 A cartoonish city on the homepage reveals fast facts about the Internet and Worldwide Web when you click on buildings' windows. To make money on his purchase, he allows companies to sell ads. Though he brought in some ad sales in the past (he says he's unsure of the total amount), Meystedt has since taken a job that has put his symbolics.com hopes on the back burner. Meystedt is now director of auctioning off domain names at Heritage Auctions. He recently auctioned off classic.com for $172,500 and NL.com for $575,000. His XF.com Investments company also owns the rights to tablets.com and copier.com. Even though he isn't getting to work on his symbolics.com passion project, he doubts that he'll sell it. As a piece of Internet history, he says he is "very humbled" to be able to own it.